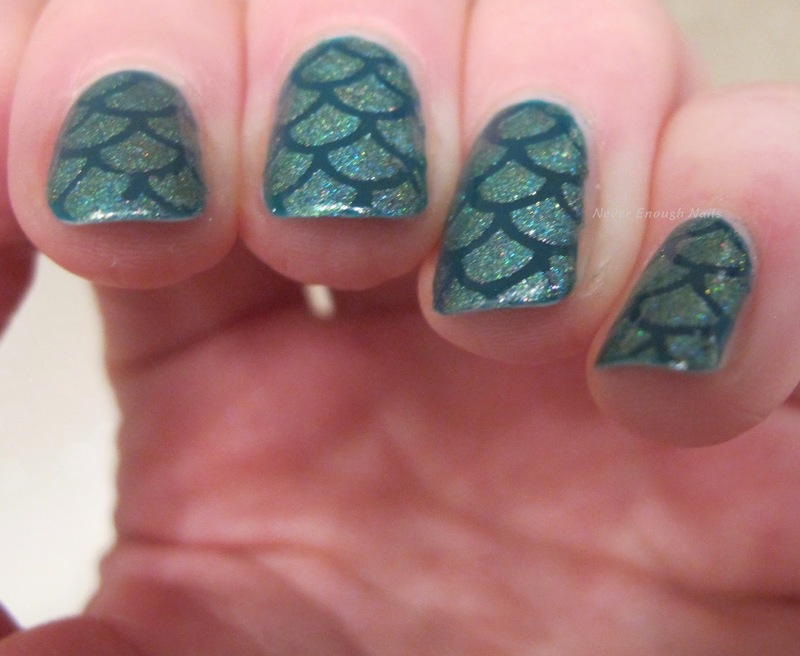 In the hopes the someday warmth might come to my area, I did a sort of summer-y mermaid tail mani today!! 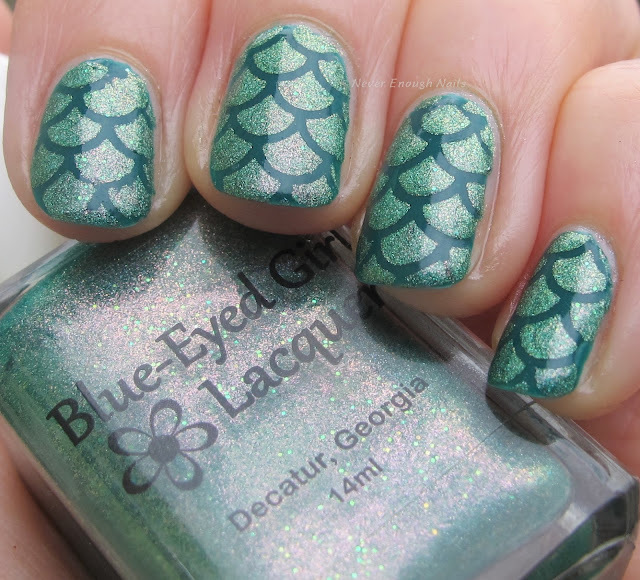 Nail vinyls are my new obsession and these mermaid tail scale vinyls are from What's Up Nails. To start, I used two coats of OPI Amazon... Amazon. When that was completely dry, I peeled my vinyls of the sheet and pressed them down over my nails. 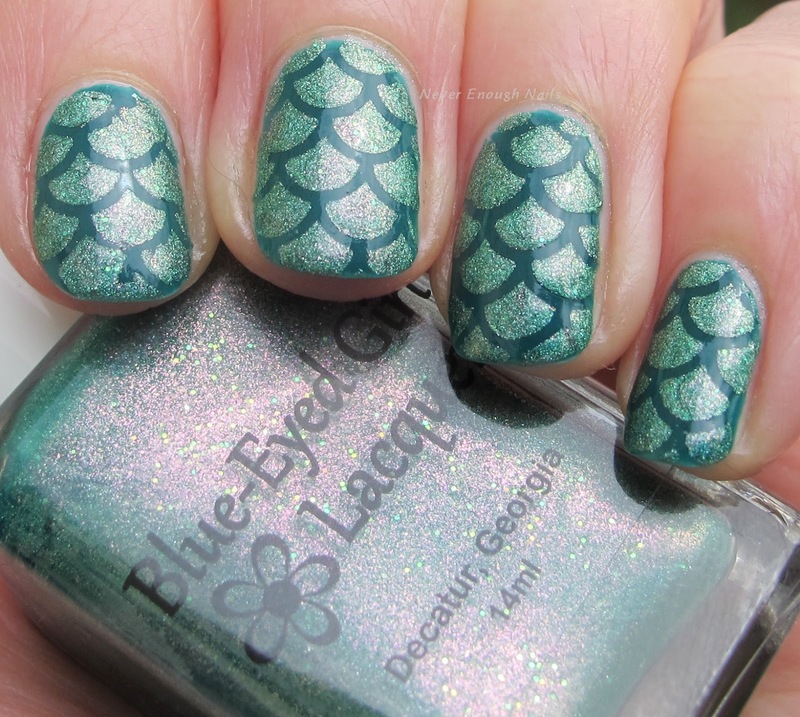 I then dabbed on a good layer of Blue-Eyed Girl Lacquer Mermaid Tails & Drunken Sails and peeled each vinyl off while the polish was still wet. Tadaaaaa- mermaid tail nails!! 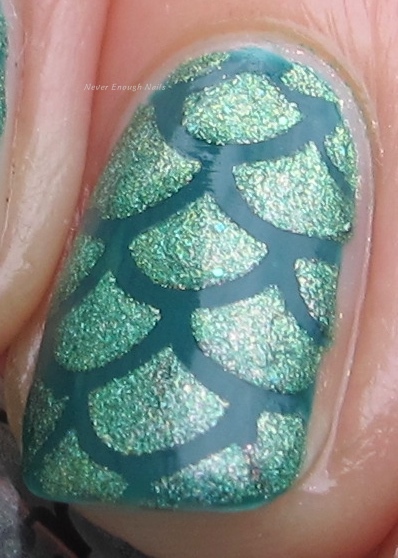 Now, it's a travesty that there was no sun for me to really capture the true holo goodness of Mermaid Tails & Drunken Sails. 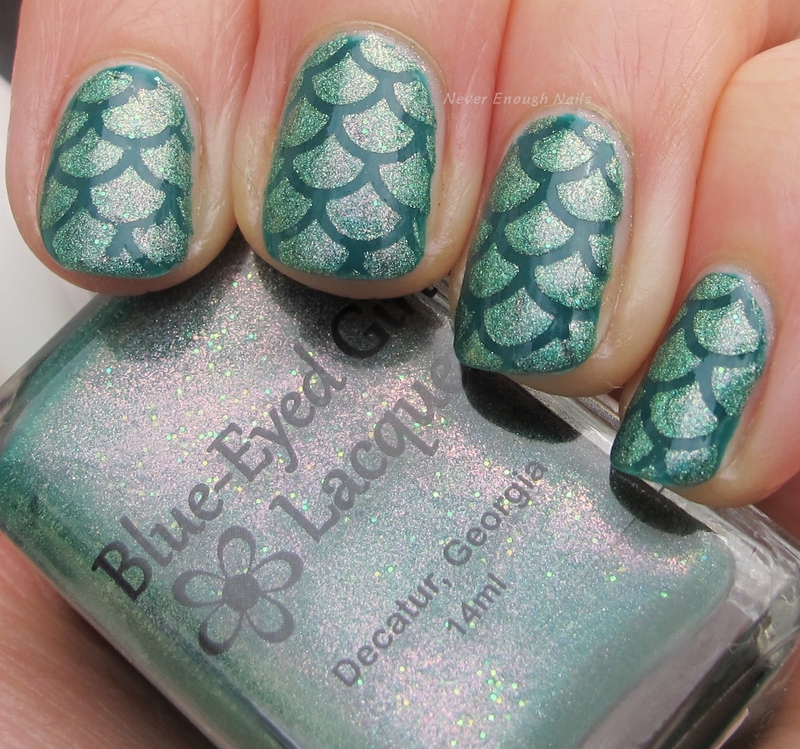 This beauty was a Hella Holo Customs exclusive for February 2016, and it is a stunning green holo with tons of pink shimmer and other goodies. I tried to capture the holo effect a little below, but I really need sunshine to show you properly!! If you are not a member of HHC on Facebook, I really suggest you get yourself in there ASAP! I have not been disappointed with the polishes each month since I joined back in the fall. This month's (made by Dreamland Lacquer and Sayuri) are STUNNING, so try to join before those go on sale in a week or so. To join, just email hellaholocustomercare@gmail.com. Have you tried nail vinyls yet? I find them to be pretty easy to use and lots of fun! They provide great nail art options for those of us who stink at stamping! !